Wohnen Sie in einer unserer Suiten und genießen Sie freien Eintritt in die AVANI Club Lounge. Lassen Sie sich mit einem Angebot an Erfrischungen, Desserts, Cocktails und weiteren Köstlichkeiten verwöhnen. Kostenloses WLAN und täglich kostenlose Computer-Ausdrucke. Genießen Sie unser Frühstücksbuffet oder wählen Sie aus der Karte und freuen Sie sich über attraktive Rabatte im AVANISPA sowie weitere Vergünstigungen. Gönnen Sie sich einen rundum perfekten Urlaub. Flexible check-in and check-out time within 24-hour period, based upon initial check-in time. Complimentary in-room mini bar items (excluding alcoholic beverages). - Continental/a la carte breakfast at the AVANICLUB, from 6:00 am – 10:30 am. - Or American buffet breakfast at the Garden Cafe, from 6:00 am – 11:00 am. 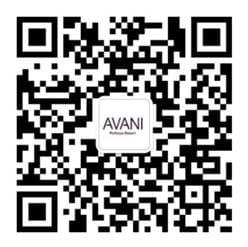 - Or Grab ‘N’ Go from PANTRY AT AVANI, 6:00 am – 10:30 am. Complimentary snacks and non-alcoholic beverages from 10:30 am - 5:30 pm. Complimentary evening canapés and a selection of alcoholic beverages from 5:30 pm- 7:30 pm. 20% discount on Food & Beverages at all hotel’s restaurants and bars (excluding room service and in-room mini bar). The discount cannot be combined with any existing promotion. 20% discount on all single treatments at AVANISPA. The above offer is limited access for registered AVANI Garden Plus guests & Avani Sea View Plus guests. Any kind of food or beverages are not allowed to be taken out of the club. Children under the age of 12, must be accompanied by a parent at all times. Dress code: Smart/casual is acceptable (no shorts, tank tops and sandals). Continental Breakfast at THB 290 and American Breakfast at THB 650, per person. Evening cocktails at THB 500, per person. Other available beverage items will be charged on a consumption basis. The above offer is limited access for registered club level guests. Should you wish to invite other guests or business partners to join you in the AVANICLUB, please contact an AVANICLUB Guest Service Agent. A la carte breakfast – per consumption. Evening cocktails at THB 500 per person. Other available items will be charged on consumption basis. All prices are subject to a 10% service charge and 7% government tax.